The old Street Triple 675 always held a special place in our hearts for how approachable, yet engaging a machine it was. Now there's a new one and it promises to offer the same experience while elevating the playing field. 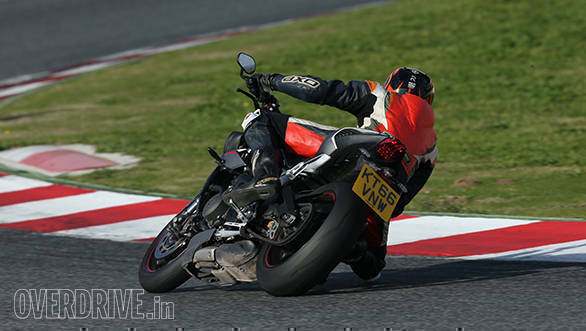 We've spent a day in Spain getting to grips with what proves to be an absolute gem of a sports bike. The biggest news with this update is that it's gone one size up in the engine department. Starting with a Daytona 675 engine, Triumph bumped up both bore and stroke to result in a rather convenient 765cc. The engine gets 80 new parts including new pistons, crank, con rods and balancer shaft. This time around, the engine is available in the 3 states of tune. 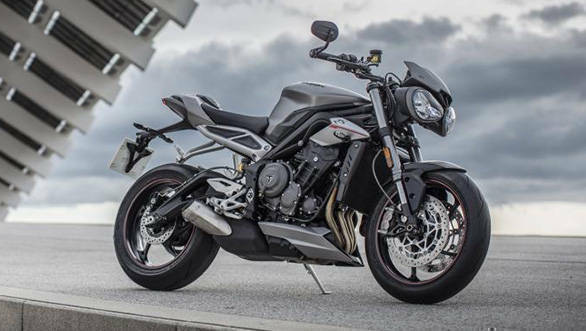 The base Street Triple S makes 113PS and 73Nm. That marks a 6.8 percent jump in power and 7.3 percent rise in torque over the old bike. Then there's the Street Triple 765 R with 118PS and 77Nm and finally the top RS with 123PS and an identical 77Nm. A look at the dyno chart shows that the RS makes more torque at 4,000rpm than the old motor made at its peak. As you'd expect, rideability has gone up by a significant margin. Thankfully, the friendliness of the old Striple hasn't been lost. Upto 6,000rpm the engine is ultra smooth, tractable and offers a sweet and linear delivery. Anyone with the basic ability to ride a motorcycle can manage, no sweat. However once the digital gauge crosses 8,000rpm the engine pulls tremendously hard and you feel the front wheel go light as you slide back into the bump stop at the end of the long rider seat. Power is seriously strong and highly addictive, a considerable jump up from before. Its nearly at Speed Triple levels of pace once you rev it out. We're riding the range topping RS here so we'll focus on that bike. 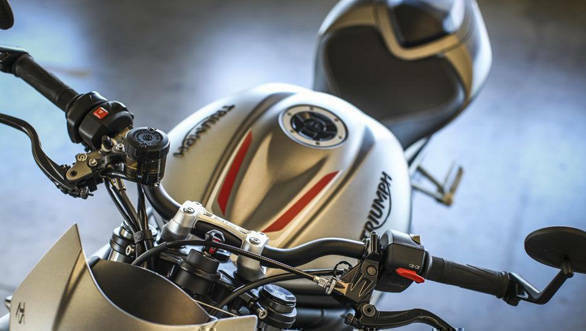 All Striples now run ride-by-wire throttle which offers ultra smooth throttle responses, making the bike easy to ride, both slow and fast. The six-speed gearbox gets revised ratios with a 12 per cent reduction in first gear and a corresponding reduction in second as well. Couple that lower gearing with the fatter midrange and this bike is very eager to lift its wheel under hard acceleration in first and second. Wheelie junkies will have to remember turn the traction control off though. The clutch lever is extremely light but can be ignored thanks to the standard (up-shift only) quickshifter that aids the already very precise gearbox in providing fast, hard-hitting shifts with the throttle wide open. Lovely! A revised airbox and exhaust have resulted in a 1.7kg weight loss and better sound as well. The typical Triumph whine is still very much there but the bike is louder, with a deeper note and a thrilling shriek at higher revs. The ride-by-wire system also brings in new riding modes, five in the case of the RS. These include Rain, Road, Sport, Track and a customizable Rider mode. All the modes offer full power at maximum throttle but the maps are different in the way they reach maximum power, with a gentler power delivery as you go from Track to Rain. The rider modes also offer a Road or Track setting for the ABS, and Traction control and both can be turned off if the rider wishes. Traction control is better than the basic systems on the retro Triumphs but still lacks the adjustability and sophistication of some of the better IMU aided systems. Also, you have to come to a standstill if you want to turn off TC or ABS. Working with the bigger motor is a revised chassis that's been strengthened and gets a brand new swingarm. The swingarm pivot is now 4mm higher, which allows harder, more confident drive out of corners. The steering has also been slowed slightly to make for a steadier front-end, given the increase in power. Why no all-new chassis? Well, when the old one was so good, all Triumph had to do was fine-tune. Happily, the new 765 retains the same friendly and compact feel and identity of the old bike. I can't think of a single rival (perhaps the new Brutale 800) that feels so small and nimble. 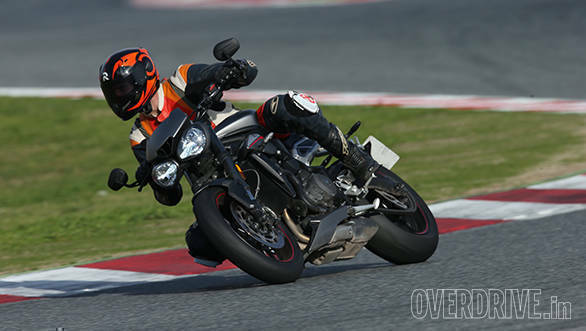 The 765 RS is the track focused sibling in the family and Triumph has thrown some top drawer equipment at it. The front brakes are now Brembo M50s, the same calipers you get on today's apex litre bikes. The bike gets a radial front master cylinder with a span and ratio adjustable lever. Front suspension is Showa's Big Piston Fork and the rear gets an Ohlins STX40 that was specifically designed for this motorcycle. Seat height on the RS is 825mm, 15 higher than the base bike to liberate more cornering clearance. Our ride began on some gorgeous Spanish roads on a cold morning. We were fortunate to have dry roads all day but in the 6 degree cold, I was glad to have traction control watching out over the Pirelli Supercorsa SPs - awesome tyres on a hot, dry track but not too happy in cold and damp conditions. Immediately, two things stand out. 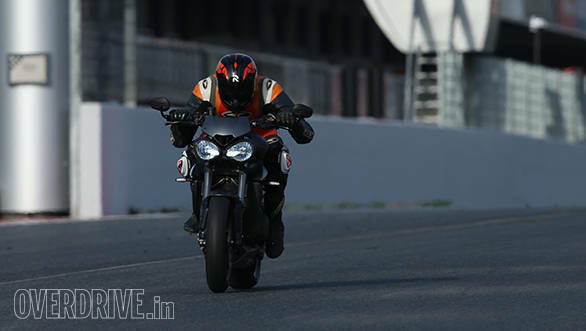 The first is that the 765 RS is light and agile to the point of making you laugh out loud in your helmet. No corner is too sharp and the bike effortlessly flicks between the bends with a small push on the bars to change direction. At 166kg dry, the bike is 2 kilos lighter than before. Combine that with that potent new motor and this is one of the most enjoyable street performers I've ever ridden. The second point that grabs your attention is that even on Spain's fabulously smooth roads, you can tell that the suspension is firmly set-up. It didn't crash or thud badly through the occasional manhole cover I aimed at, but there isn't much give in the forks either. Our experience with the BPF forks on the 2013 Kawasaki ZX-10R shows that it has the potential for a fairly plush ride in our conditions. For now, it remains to be seen if the RS suspension (the forks especially) has enough adjustability to allow for more compliance for our roads. After a couple of hours on some of the best riding roads I've ever experienced (Spain is biker heaven! ), we hit the race track. Catalunya is a massive, fast and pretty ballsy track that would usually eat a small bike alive. Not this one. The RS chassis displays a level of stability, composure and confidence that is right up there with the Daytona. As on the street, the handlebar provides great leverage, allowing super quick direction changes while the brakes offer mega performance without overtly sharp initial bite. I personally never had any issues with cornering clearance, but some of the bikes had scraped footpegs, probably at the hands of the number of pro-level racers at this event, including two time TT winner, Gary Johnson! The only thing stopping this bike in being a proper track machine is the complete lack of wind protection. Hanging on down the main straight is frighteningly difficult and the bike starts to lose the battle against the air well before the braking point. I saw 232kmph a couple of times and you can feel the engine struggle to overpower the wind resistance. A fairing to hide behind would make this an awesome track bike. 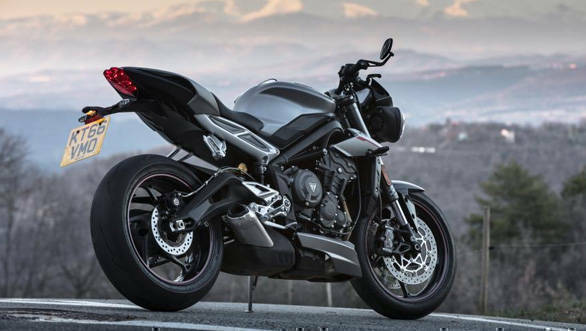 It would also make it a Daytona, but effectively, that's how capable the Street Triple RS is. Ultimately, the RS takes the Street Triple to new levels of speed and handling without sacrificing any of the bike's easy and sweet nature. It also happens to wear a sharper, Speed Triple-inspired look. There's a handsome new tail section and a more modern looking headlamps with an LED DRL. It's still not classically pretty, but it is now more focused and aggressive. 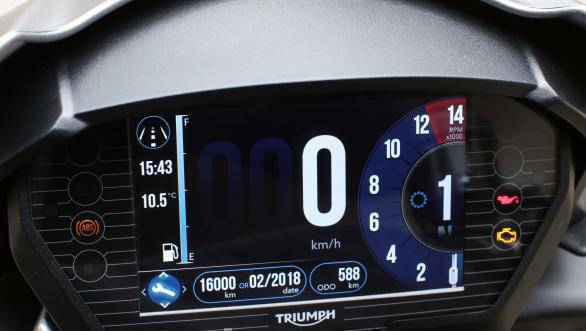 While the base Street Triple S uses a slightly updated version of the old instruments, the R and RS get a very nice 5-inch full colour TFT display. 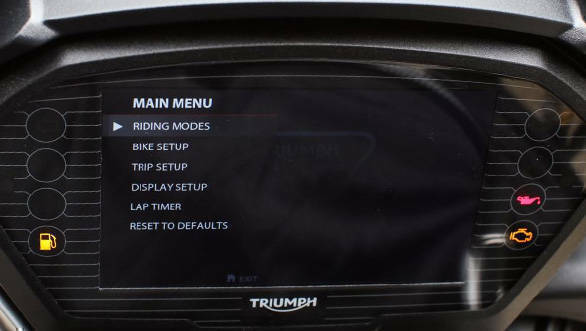 The display offers multiple viewing modes and all the menus can be easily controlled via a clever 5-way jog lever on the left side of handlebar. Switchgear itself has been updated and it's a big improvement with a premium feel. Triumph says all three bikes will eventually make it to India via the CKD route, starting with the base S that should go on sale at around June. 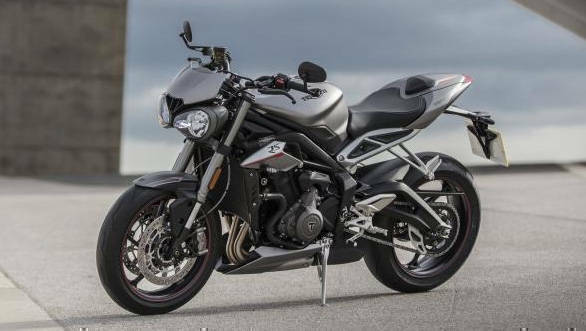 Going by the UK pricing, expect a ten to fifteen percent hike in price over the current Street Triple. 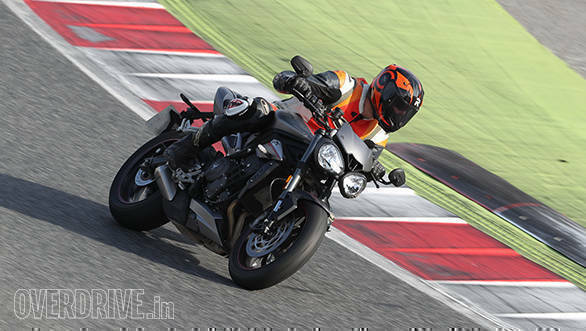 As for the Street Triple RS, we estimate an ex-showroom price between Rs 11-12 lakh. Given the kit on offer, thrilling ability and highly approachable nature, the 765 RS has the potential to be all the sports bike you ever need. UPDATE: Triumph has suggested that our previous estimation of an ex-showroom price of around Rs 10lakh for the RS could be low, citing the current uncertainty regarding tax structures and GST. The company also points out that the previous motorcycle was priced as a 79PS motorcycle, not the 106PS international spec.